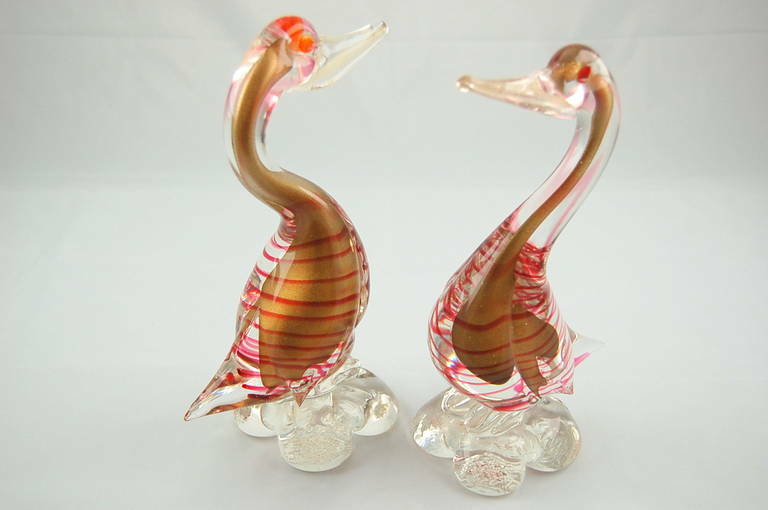 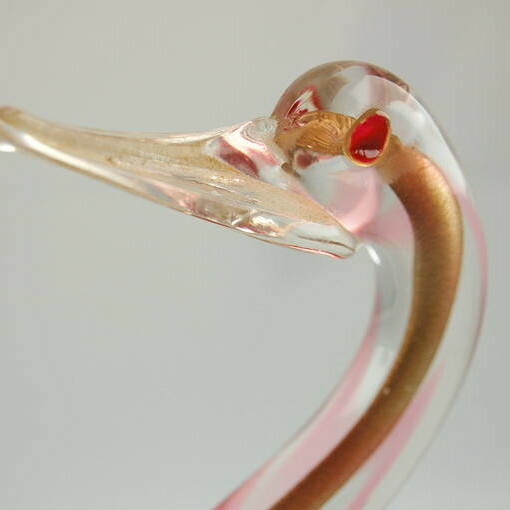 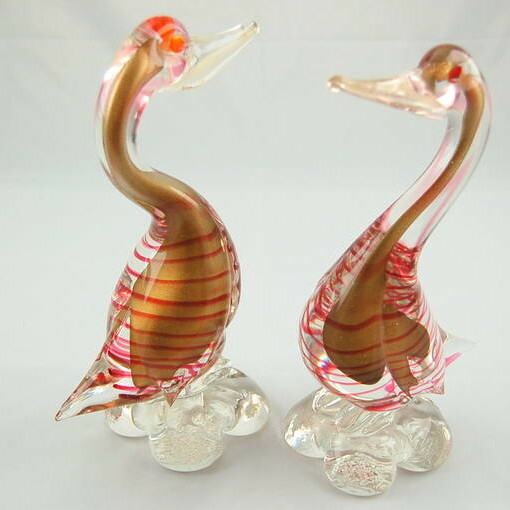 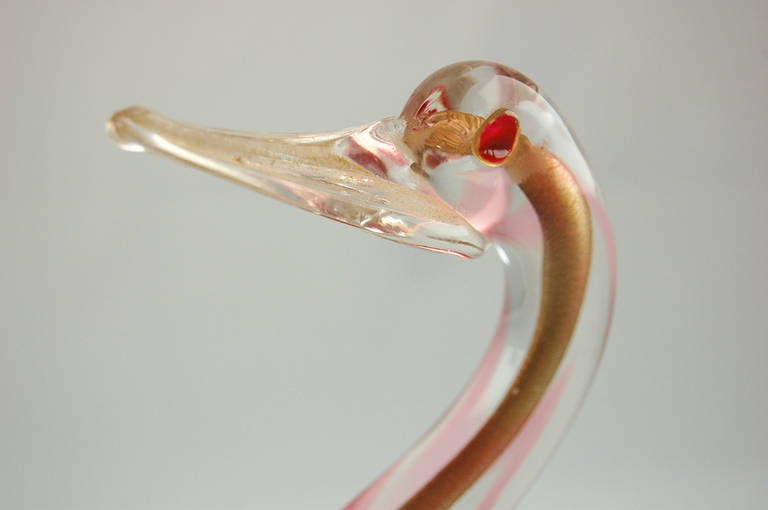 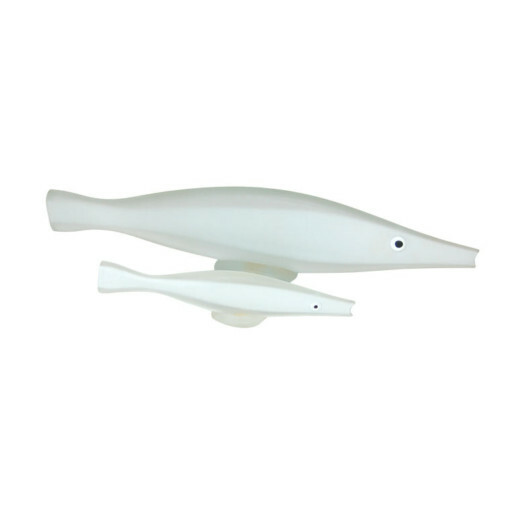 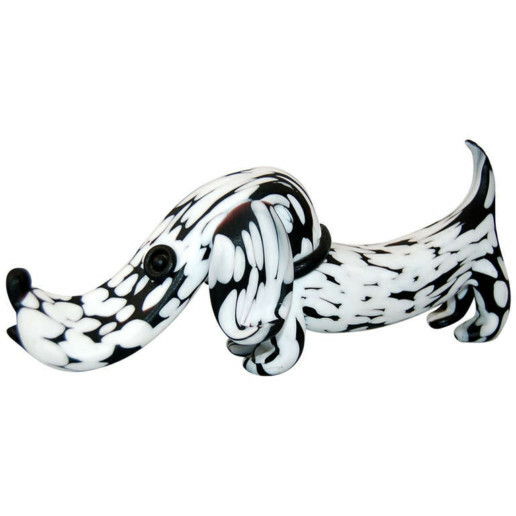 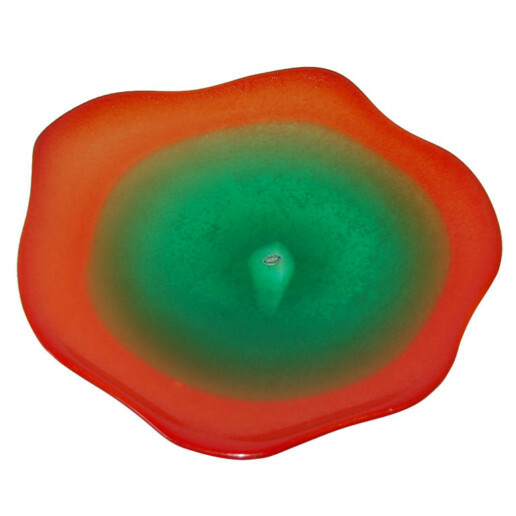 Cute pair of Ducks from our exclusive collection of vintage Murano accessories. 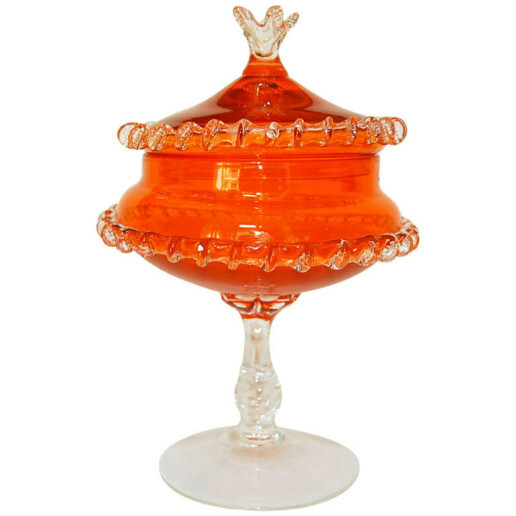 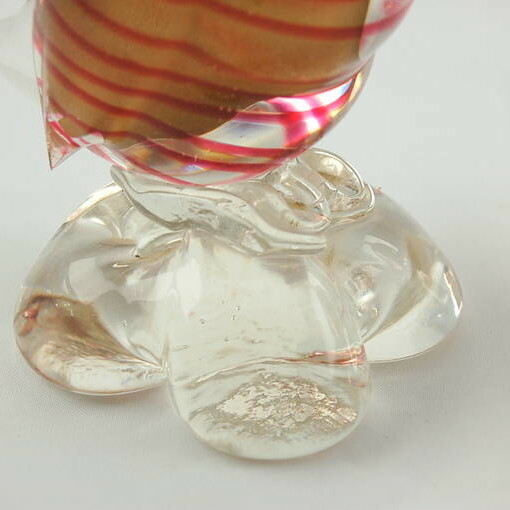 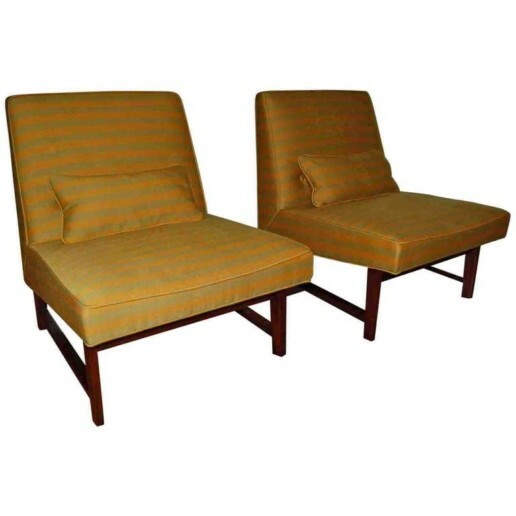 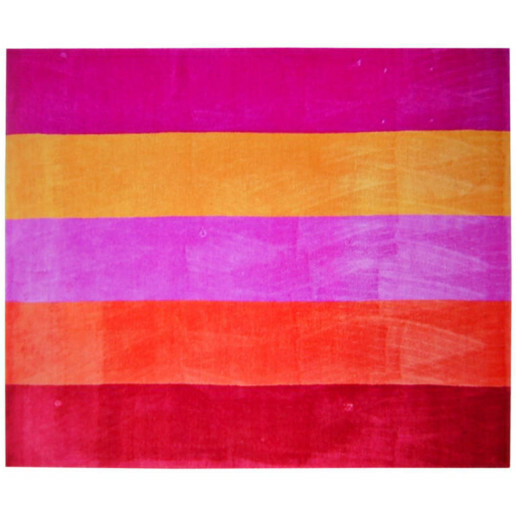 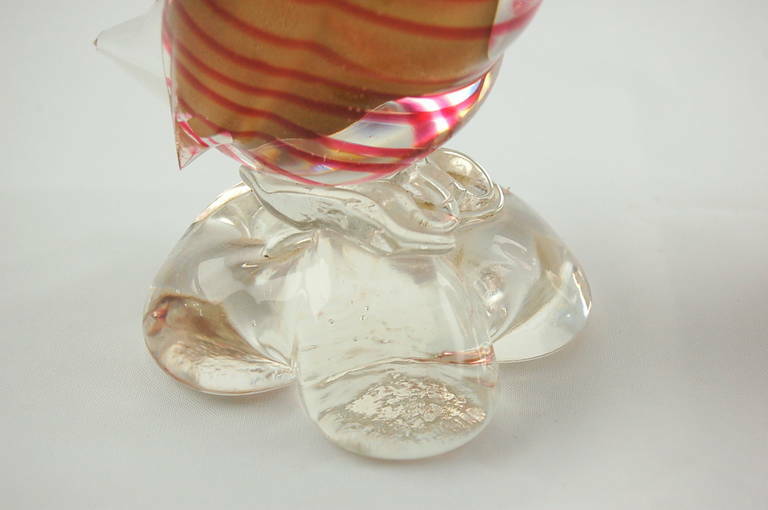 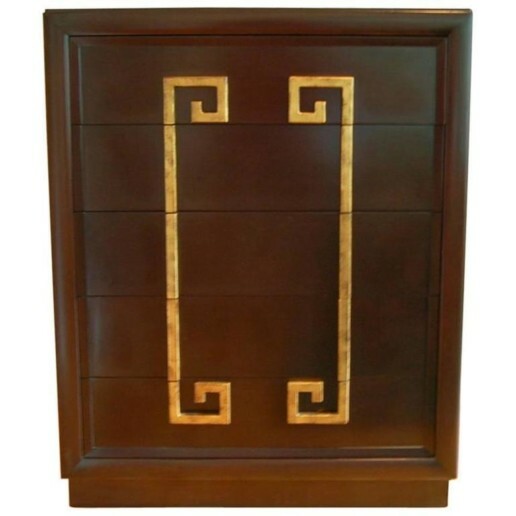 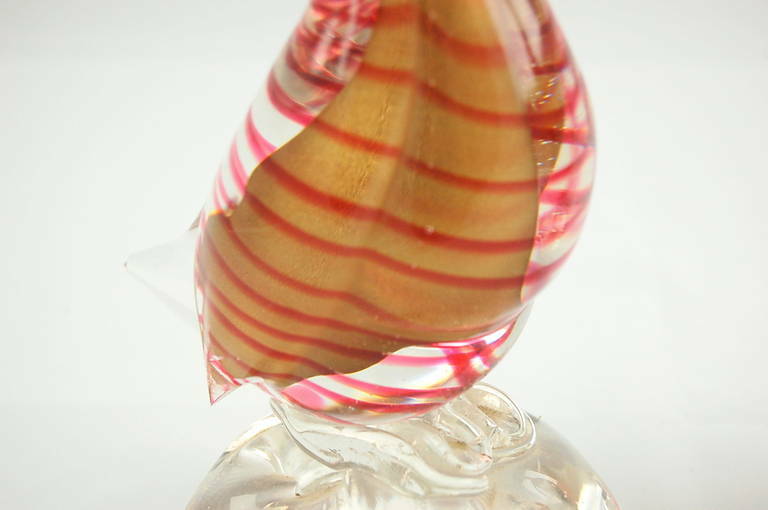 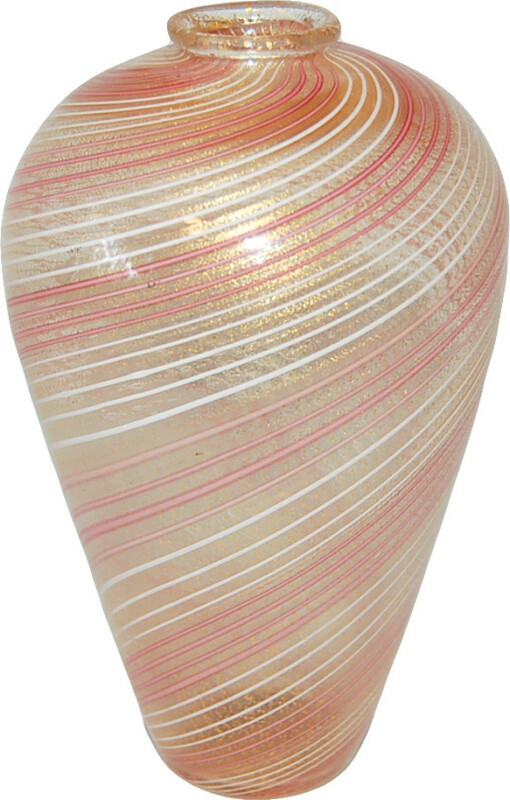 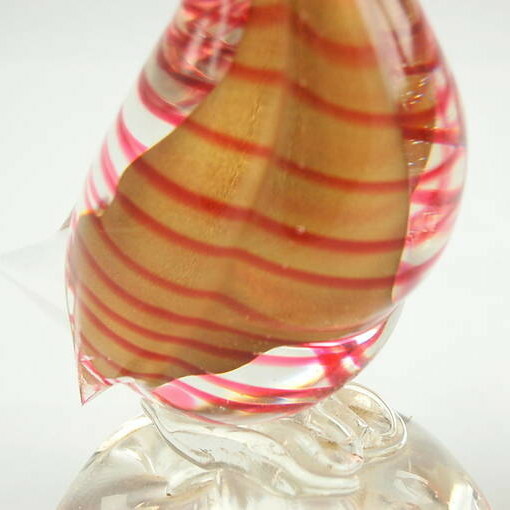 They are done in the Sommerso style, an inner core of GOLD glass is surrounded by a thick clear glass layer, with MAGENTA striping in between. 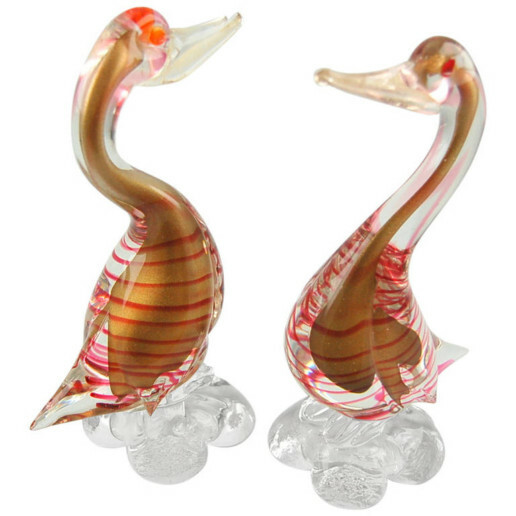 Each duck stands 10 inches high, 5 inches deep, and 3 inches at its widest.